According to a survey conducted by Wakefield Research, commissioned by Western Digital (News - Alert) Corp. (NASDAQ: WDC)*, more than half of Americans (54 percent) feel less of a deep connection with their inner circle than they did five years ago, specifically because they don't find meaningful ways to stay in touch. At the same time, 85 percent of respondents who share photos with their inner circles cite "strengthening personal relationships with friends and family" as one of their major drivers. This data suggests that privately sharing photos and videos with friends and family may help to deepen the connections that many people believe have weakened over the years, despite the proliferation of social media and smartphones. 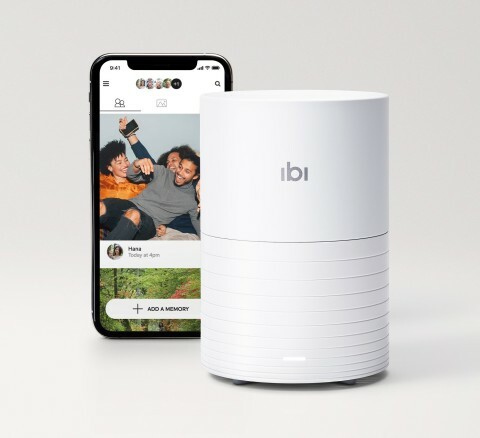 ibi™, the new smart photo manager, lets people collect, organize and privately share photos and videos with the people who matter most to them. The survey shows that while Americans who use social media have an average of 557 "friends" across platforms, there is a perceived absence of authenticity on social media. This helps explain why many respondents feel like they lack meaningful ways keep in touch with their loved ones. When questioned, a staggering 77 percent agreed that most of the people in their social networks exaggerate their lives online. Further, more than two in five Americans surveyed (44 percent) reported that a member of their inner circle posted a photo of them online that they did not want to be seen publicly. "As social media remains a prominent feature of everyday life, our online networks are continuing to grow. However, social media does not necessarily make us feel more connected and can even ironically make us feel more alienated and lonely. People are now craving more personally fulfilling ways to bond with their inner circles of family and close friends. In fact, psychological research has shown that it is these inner circles of family and close friends that can make life feel meaningful," said Clay Routledge, professor and psychological scientist. "Many consumers are on social media because they long for connection but what they are really looking for and could most benefit from is a tool that allows them to easily share and revisit their most cherished life experiences exclusively with their inner circles." "As a mom, I love capturing every precious moment from my daughter's childhood," said Brandi Milloy, food and lifestyle expert. "While I love to document my family's lives on my social channels, there are special moments that are best shared with my inner circle of friends and family who will fully appreciate every moment, from those first steps to first bike rides and everything in between. With ibi, I have a private space that lets me collect, find and share photos and videos with only the people I want, and no one else." "While there are lots of ways to preserve and share photos and videos, consumers are still looking for an easy, reliable solution that puts them in full control of their content," said David Ellis, vice president of product marketing, Western Digital. "ibi removes almost all the variables. It's a physical device that's located in their homes. With no monthly fees or contracts, consumers can rest easy that they've got full access to the content that matters most." ibi, as part of the SanDisk® family of products, is now available in the U.S. on Amazon.com (News - Alert) and http://www.meetibi.com for $179.99 USD. For more information about ibi, visit the website, or follow www.instagram.com/meetibi and www.facebook.com/meetibi. Western Digital® data-centric solutions are comprised of the Western Digital, G-Technology™, SanDisk (News - Alert)®, Upthere™ and WD® brands. This news release contains certain forward-looking statements, including the expected availability, benefits, capabilities, capacity, performance and/or other features of the ibi smart photo manager. There are a number of risks and uncertainties that may cause these forward-looking statements to be inaccurate including, among others: changes to specifications from standards organizations, volatility in global economic conditions; business conditions and growth in the storage ecosystem; impact of competitive products and pricing; market acceptance and cost of commodity materials and specialized product components; actions by competitors; unexpected advances in competing technologies; our development and introduction of products based on new technologies and expansion into new data storage markets; risks associated with acquisitions, mergers and joint ventures; difficulties or delays in manufacturing; and other risks and uncertainties listed in the company's filings with the Securities and Exchange Commission (the "SEC (News - Alert)"), including the company's most recently filed periodic report, to which your attention is directed. You should not place undue reliance on these forward-looking statements, which speak only as of the date hereof, and the company undertakes no obligation to update these forward-looking statements to reflect subsequent events or circumstances.